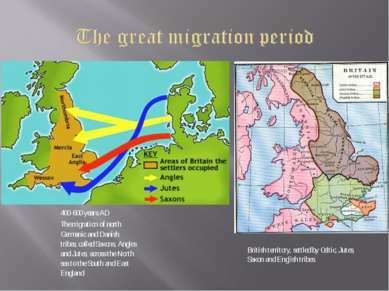 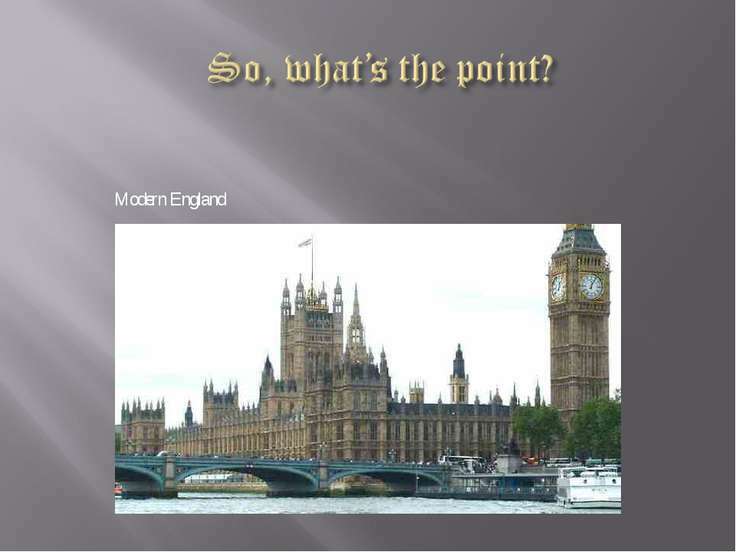 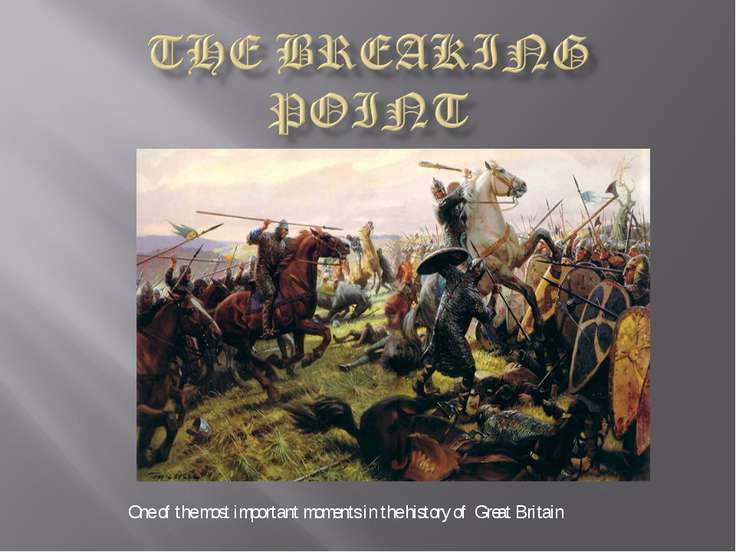 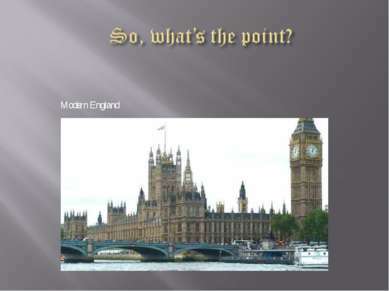 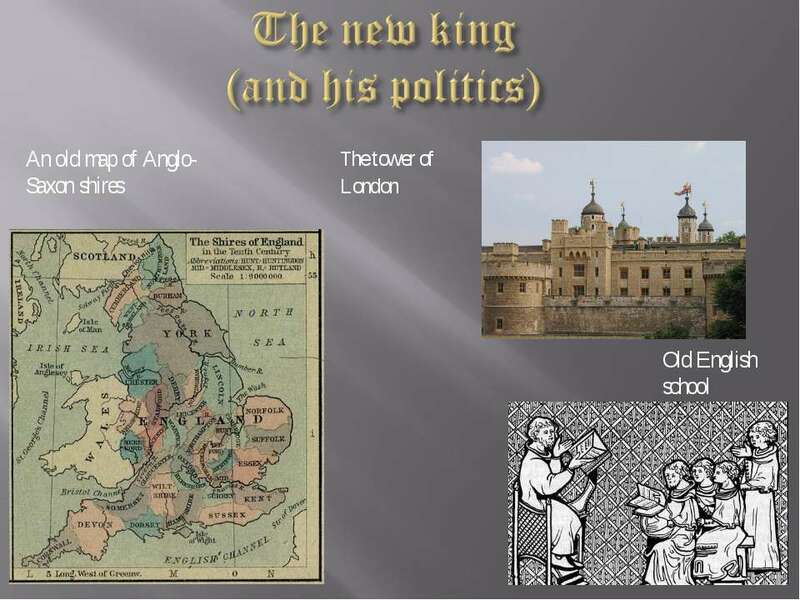 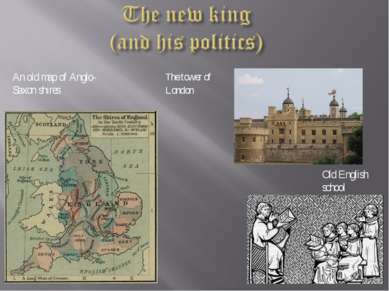 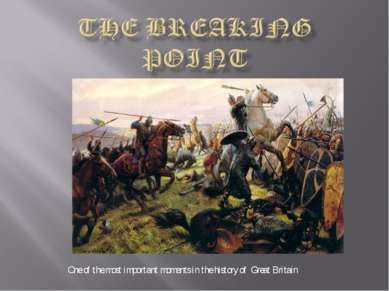 400-600 years AD The migration of north Germanic and Danish tribes, called Saxons, Angles and Jutes, across the North sea to the South and East England British territory, settled by Celtic, Jutes, Saxon and English tribes. Anglo-Saxon jewelry. 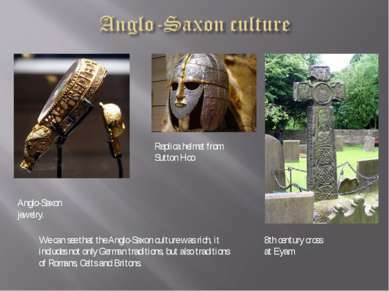 Replica helmet from Sutton Hoo 8th century cross at Eyam We can see that the Anglo-Saxon culture was rich, it includes not only German traditions, but also traditions of Romans, Celts and Britons. 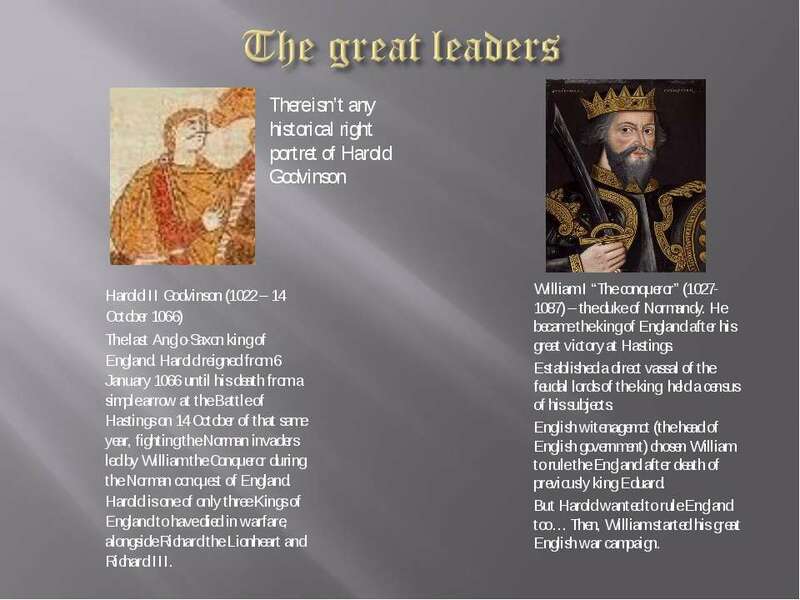 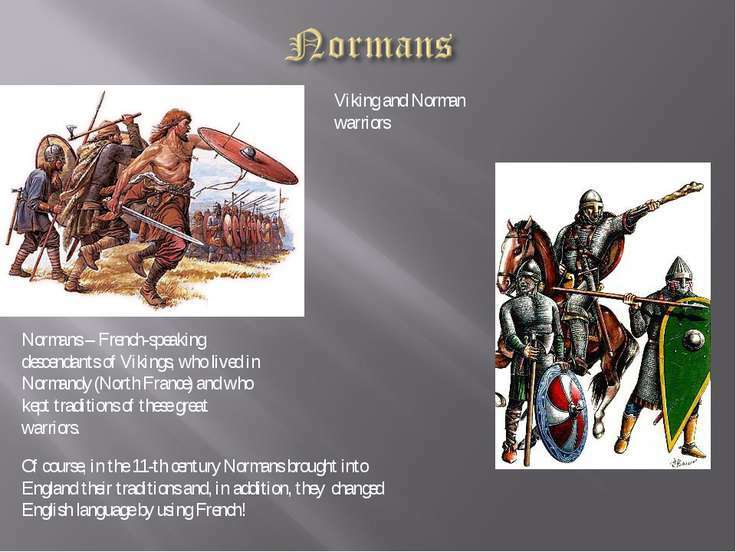 Viking and Norman warriors Of course, in the 11-th century Normans brought into England their traditions and, in addition, they changed English language by using French! 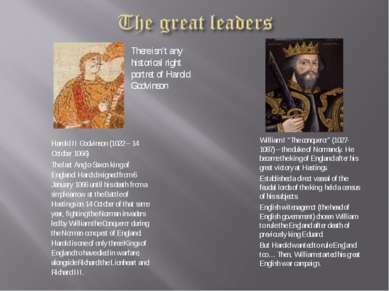 Normans – French-speaking descendants of Vikings, who lived in Normandy (North France) and who kept traditions of these great warriors. 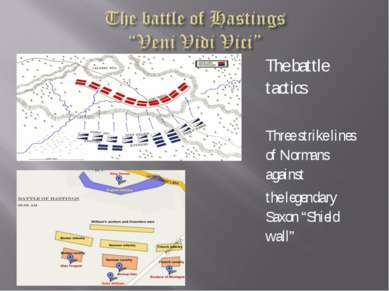 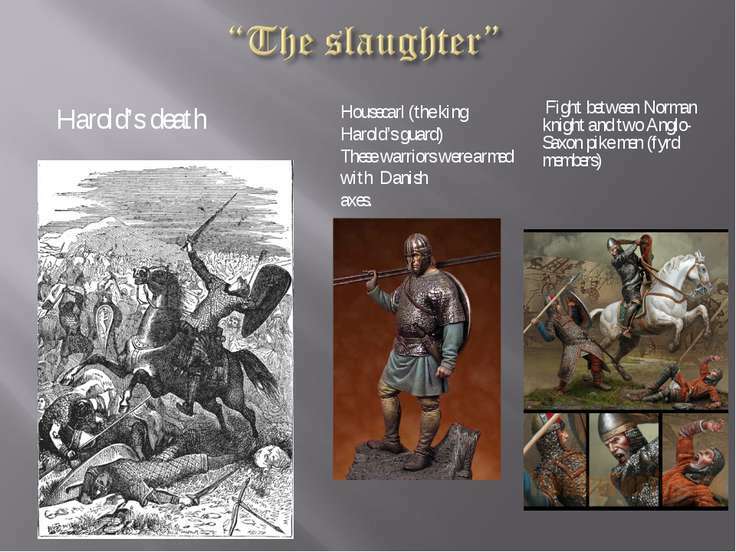 Harold’s death Fight between Norman knight and two Anglo-Saxon pike men (fyrd members) Housecarl (the king Harold’s guard) These warriors were armed with Danish axes.